"Hello, everybody. So glad to see you!" That's how my children have begun their Wednesday mornings for the past several years in their weekly Music Together class. In fact, my youngest child, Luke, has been hearing it since well before he was even born! Music Together is a research based program designed to specifically help children develop basic music competence during early childhood development. Recently I had the chance to catch up with Meryl Vujs, owner of the Cape Cod based Meryl’s Music and Arts Centers, and she is also a certified level II Music Together instructor, to learn more about why music education is important, what makes music together different and what the lasting benefits are when it comes to making music together. Here's what she had to share about Music Together. Meryl: Children are born with the potential to learn to speak and understand their native language. They are also born with the potential to speak and understand their native music. This means that all children have the ability to learn to sing in tune and keep a beat with some kind of body movement such as tapping, clapping or walking. These milestones can usually be achieved by the age of 6 or 7 if given a musically rich environment in which to grow. And this basic music competence means more than just singing in tune. It allows children to pick up an instrument, sing in a choir and make music joyfully, without being self-conscious. Research also shows that music education supports all areas of learning. Social, emotional, cognitive, physical and language development have all been proven to be greatly improved in children who receive early childhood music education." What makes Music Together different than other programs that are available? Meryl: In addition to being heavily researched based, Music Together is different from other early childhood music programs because of the fabulous materials families get to take home. Each session has new music and the families get 2 CDs and a songbook to take home with them so they become familiar with the songs outside of class as well. Music Together also offers exposure to lots of different types of music. In Music Together the music changes from session to session in order to give families a wide variety of songs to add to their repertoire. On each collection there are songs that are traditional American, but also a wonderful mix of cultural songs are included on each CD (Irish, Spanish, French, Greek and African just to name a few). There are currently 9 song collections which run over a 3 year cycle. So you can come to class for 3 years and not do the same songs twice, that’s a lot of music. Meryl: Classes are made up of 6-12 children and the adults who love them. It is 45 minutes of pure fun. Singing is at the root of it all, but each song is presented by the teacher in a different way to make the class exciting for all involved. There is a mix of small movement (finger play, lap bounce songs), large movement (free dance, lightly choreographed, or dancing with scarves or streamers), instrument play (sometime we all have egg shakers, rhythm sticks, or bells), chants (songs without melodies to help children work on their rhythm), Playalong time (big basket of instruments so children can explore freely and express themselves in any way they want), and always a lullaby at the end to help calm the children and promote bonding time with the caregiver. The Hello and Goodbye songs are always the same so children can feel secure in knowing what is coming when we sing them. Why and how did you become a Music Together teacher? Meryl: I became a Music Together teacher and Director because the program spoke to me. I had a 1.5 year old at the time I took my training and it just made so much sense to me. It also allowed me to pursue my music which I had put aside for many years. I’ve been teaching now for 9 years and love every minute of it. To be a teacher of Music Together, you must pass a rigorous 3 day training performed by Music Together, LLC and you are required to continue your education to stay up to date with all the latest findings. Continuing education is offered through headquarters many times per year all over the world and teachers are encouraged to attend as many seminars as possible. This is why teachers of Music Together are considered Early Childhood Music Specialists and not just a music teacher. Anything else you might want to add about the value of music programs for kids? Meryl: If you are looking to add a whole new dimension to your child’s early childhood experience and give them a leg up for the rest of their lives, Music Together is the way to go. There are centers all over the world. 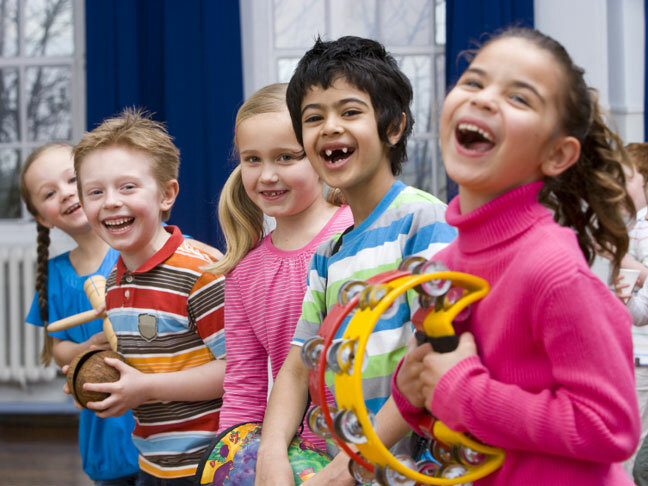 Check out Music Together for the class locator to find a class near you. Celebrity Snippets: Random Bits of Entertainment News 8/12Jessica Alba Welcomes Baby Number Two!